The teenage daughters of Spain’s prime minister were ridiculed for dressing “Goth” with the Obamas. 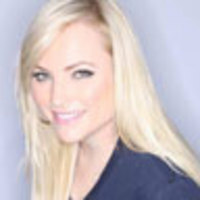 Meghan McCain on the perils of being a politician’s kid. Over the weekend I was emailed and tweeted an image of the prime minister of Spain, José Luis Rodríguez Zapatero, and his family standing with President and Michelle Obama at the United Nations. The photo was uploaded onto the White House Flickr account but soon taken down because apparently the young girls are not seen or photographed in their country, so as to protect their privacy. No one knows better than me that being the child of a politician is not a gig you choose but are born into. When I first saw the picture, I didn’t understand what everyone was referencing but soon realized the prime minister’s daughters, Laura and Alba, were dressed in “Goth” attire, complete with black combat boots and kohl eyeliner. There has been somewhat of a fury on the Internet chastising these two girls—by the way, ages 13 and 16—for their attire. I want to start out by saying I can’t believe there is a country that exists where the media protects children of public figures, let alone the prime minister’s daughters. It is literally hard for me to fathom that there is a place that respects the privacy of underage children of politicians and diplomats. The second part of this that makes me very sad is that these two girls are enduring a sort of baptism by fire with the media scrutiny that surrounds their family portrait with the Obamas. Not only are they not used to being photographed, but their first foray into being photographed and criticized is on a very public scale with the most famous and powerful politicians in the entire world. • Gallery: First Lady Face-offLet me bring you back to what I was like around these girls’ ages. The Spice Girls were the hottest band out there, and as a 13- to 14-year-old I used to dress up like Baby Spice, complete with the pigtails and wedge boots. I am sure had I had my picture taken with the president and first lady at the time, I would have had some kind of Spice Girl scrutiny for the way I looked. But I was a young adolescent, and I didn’t know better. Which brings me back around to these young girls, lest I remind everyone that Twilight and vampires are huge right now, especially for teenagers. Anyone that has been to a local mall would know that the Goth-inspired chain store Hot Topic is also wildly popular—my own little sister wanted her birthday present from that store this year. Now, I don’t know why the prime minister's daughters chose to express themselves through Goth attire and quite frankly I don’t care. They are teenagers expressing themselves, and clearly the prime minister and his wife had no problem with them dressing in their Goth attire to meet the president. So why should we? When the pictures came out, they were printed in numerous magazines and newspapers, not including the fury in which the portrait was traded and posted online. However, what I find fascinating is that the prime minister was able to persuade the Spanish-owned news agency Zapatero from distributing the portrait—the daughters are actually protected by a Spanish law. I find it difficult to believe any picture of President Obama and his family in any context would not be distributed across the Internet and on newswires—no matter what the picture was. Our media doesn’t have the same boundaries with families, and unfortunately it is just the way it is. My heart really goes out to Laura and Alba—they are two very young adolescents who were brought to a United Nations summit in a foreign country and their physical appearance and clothing choices have been ripped apart and ridiculed by our country’s media. Really, what kind of reception is this for a foreign diplomat and his family? There are inevitably complications for the prime minister and his family that will come of this portrait but I can only hope that maybe the media can learn from this and be more respectful in the future of not only children of foreign diplomats but our own first family and other families of politicians as well. No one knows better than me that being the child of a politician is not a gig you choose but are born into. How about giving these kids a break as they grow up in the spotlight?